Yesterday I received a call from a recruiter who found my site through a search engine and saw that I worked with change agents. She asked if I either had or knew of an assessment to qualify candidates for change agent positions. Her client was specifically looking for a canned proven test. Unfortunately, I had to share that I didn’t know of any (and asking my network has also not netted any existing assessments). In fact, if implementing change were that scientific and predictable, success would certainly be easier, faster, and occur more often. 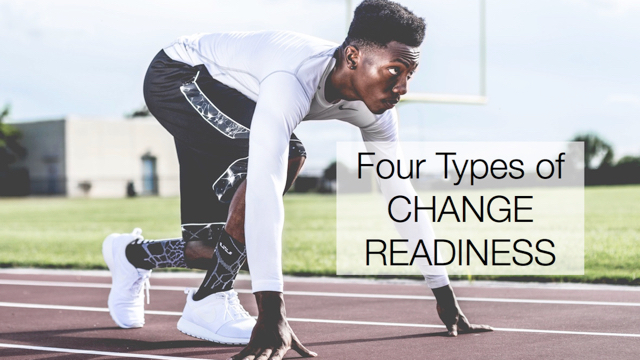 One of the reasons I offer one-on-one coaching for change agents is that each scenario is different, and there is no one-size-fits-all solution to implementing change. I do believe there are certain characteristics or skills of change agents that are important, and that I watch for while coaching. If any of these are lacking, I might explore further to see if improvement might pave the way to success. Systems thinker. Seeing the relationships between moving parts. If you pull one lever, what cogs are likely to move? Relational. Cultivating relationships at multiple levels of an organization. Analytical. Using data and measurements to assess progress. Influential. Using multiple forms of influence to get people to try new things and adopt different behaviors. Resilience. Organizational change is rife with obstacles and resistance. Resilient individuals will keep going. Facilitation. Most change projects I know involve some form of team facilitation. Difficult conversations. For example giving feedback to executives. Communication. Beyond conversations, speaking and writing are also important for change agents. Energy. Drive. Conviction that the change must happen. Observant. Having a knack for seeing opportunities for improvement and discrepancies that are hurting the initiative. What else would you add to this list? Any that you agree or disagree with? As a list of change agent capabilities this is a pretty good one. I would see these as the external focus of the change agent, in a sense the way that they think in the world around them. So I would add the internal focus to this list and add “self-awareness’, ‘ability to reflect on themselves’, ‘understanding of their own strengths & blockers’, ‘ability to remain calm under fire’, ‘detachment of themselves from the problems’ and ‘limited ego’ perhaps. Of course a change agent needs to be open to personal change too or they cant claim that change agent badge!